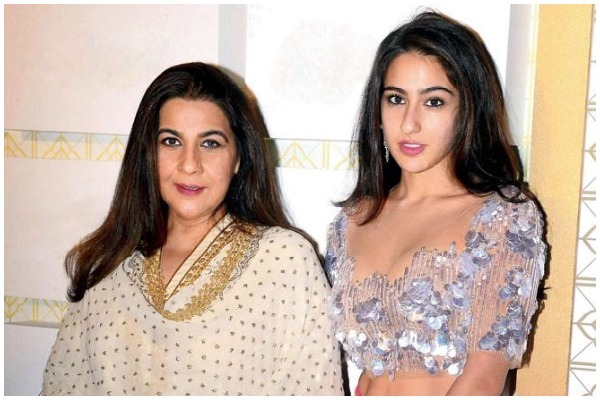 Bollywood actress and ex-wife of Saif Ali Khan, Amrita Singh along with Simmba movie fame daughter Sara Ali Khan had approached Dehradun police station on Saturday and have claimed a property of over 16,000 square feet area in the outskirts of Uttarakhand’s capital belongs to them. Recently, Amrita’s maternal uncle, Madhusudan Bimbet passed away. After his cremation, Amrita and Sara approached Dehradun police to claim his sprawling mansion, which is worth crores. While on the other hand, Madhusudan’s caretaker Khusiram, who took care of him for the last three years, has given an application to the police narrating a different story. According to him, Madhusudan has locked the property so that no one could enter. Khusiram claimed that Amrita did not call on Bimbet when he was ailing and now she is claiming right over a property worth crores. “Amrita’s maternal uncle Madhusudan Bimbet lived in Dehradun’s disputed property as the suit over the title is pending in court. On Saturday he died of cancer. Amrita came to Doon with Sara Ali, cremated her maternal uncle’s body and then both allegedly entered the bungalow”, said a police official. Late Madhusudan Bimbet’s close friend Dhirendra Semal questioned, where were these people when Madhusudan needed them the most. He also revealed that no one came to see poor Madhusudan since last three years and now immediately after his death these people come to claim the property. Talking to the leading news portal, senior superintendent of police (SSP) Nivedita Kukreti said that since matter is already sub judice, the role of police is “only confined to maintain law and order”. Concerned parties could approach the court on Monday, added police. Neither Amrita nor Sara have spoken on the matter yet. Previous : Bhabhiji Ghar Par Hai’ Fame Anita Bhabhi aka Saumya Tandon Blessed With A Baby Boy!